Where the RC excitement starts in Rock Springs! 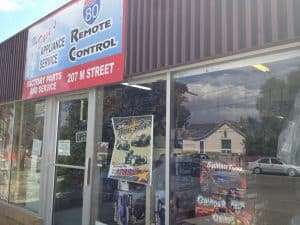 At I-80 Remote Control we offer a large selection of remote control cars, trucks, helicopters and drones. We also stock parts for all of your RC needs from fuel to tools. We have a very knowledgeable staff to answer any questions you may have. Don't forget to have all your RC models serviced by our professional staff. Call or drop in to find out about racing action and schedules. If you are in need of excitement come visit us today!